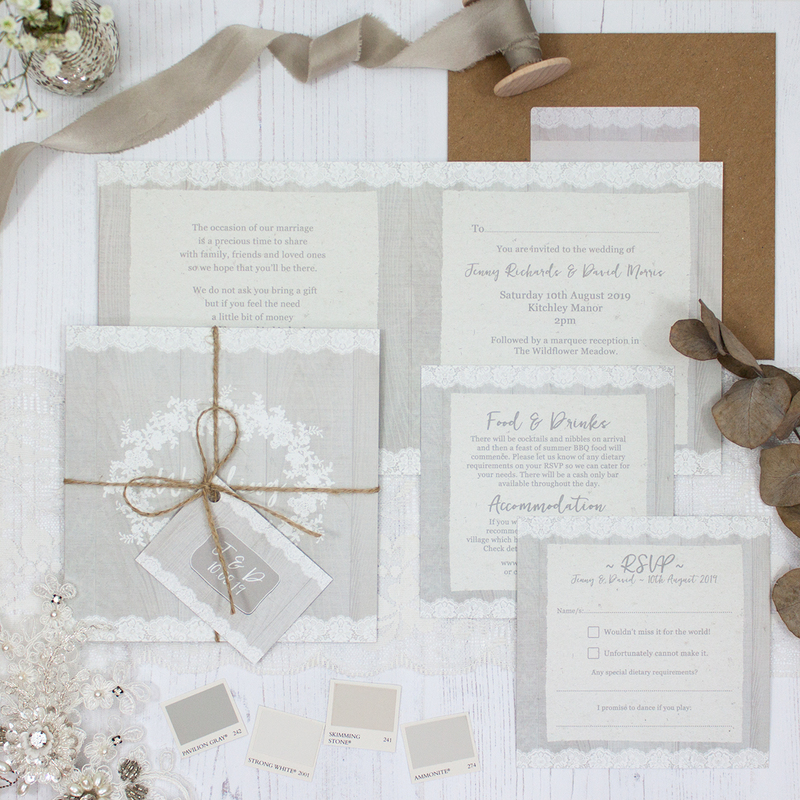 Wedding invitation sample pack including an RSVP, info card, string and tag, envelope and label in the Grey Whisper Collection design. Inspired by a grey morning with a thick fog hanging in the sky, and delicate drops of lace like dew adorn the hedgerows. This collection showcases a fond love of grey, a colour I just love and features heavily in my house, my wardrobe and on my nails; it just goes with every colour. 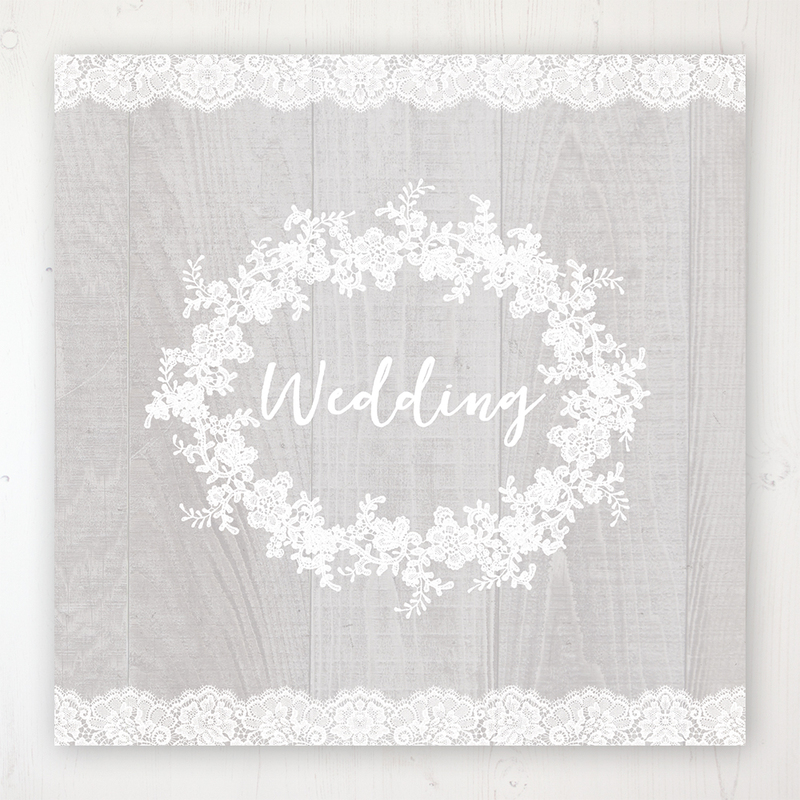 This collection is perfectly suited to couples wanting a refined rustic style for their wedding day.